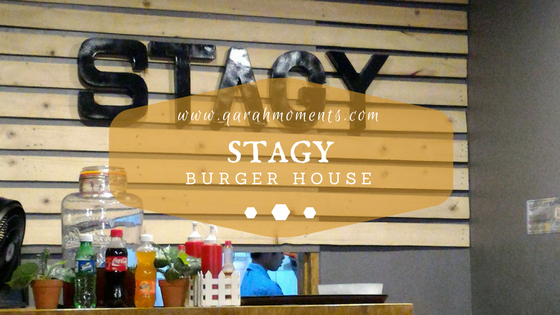 After attending a church meeting, hubby and I went to Stagy (pronounced as stey-jee) Burger House to eat and have a little "us" time. Spending time together is scarce nowadays since we can't leave without the kids. Hence, when there's a chance to sneak out, we took advantage of it. 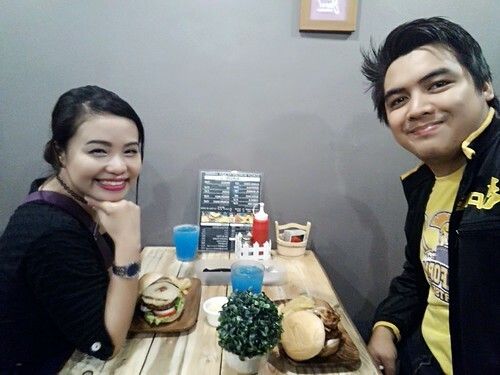 Hubby has been eyeing this Burger House and we were delighted that it was open when we get there after the meeting. 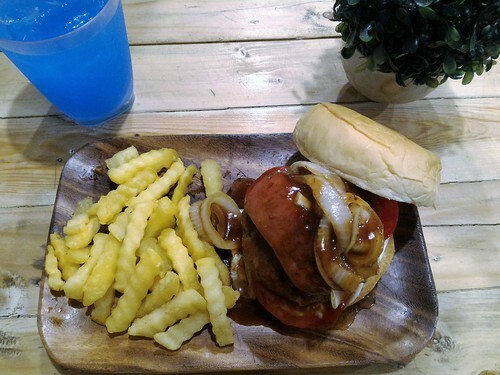 Stagy Burger House is located at Brgy. 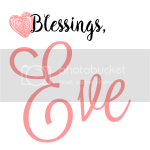 Buting, which is near our house and very convenient because it is situated along the road. The place is not really huge, there are only four tables laid. 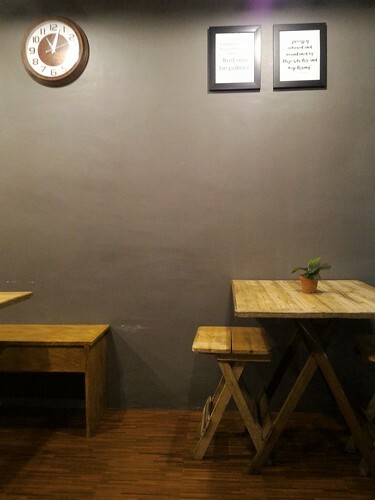 The wall is painted with gray and has a bit of a rustic theme. When we get there, it wasn't crowded. 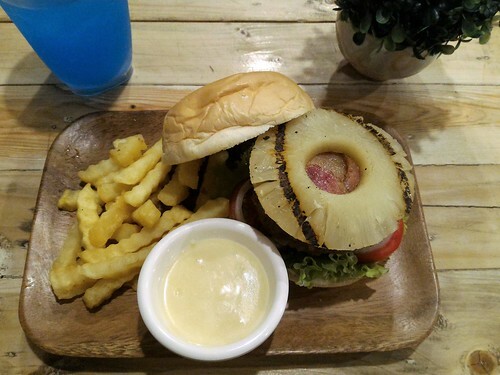 They offer different burgers, from classic to ultimate. They also have sandwiches, sides and even Buffalo wings! They also have different drinks and milkshakes to partner with it. lettuce, tomato, onion, pineapple, bacon, cheese and mayo. We added Php 25 for fries and drinks. We had an additional cheese dip and decided to go with blue lemonade. Overall, it was "sulit". I like how the pineapple compliments the bacon in my aloha. Hubby said he was satisfied as well. We both love everything except the bun. It's a little cottony, similar to the usual bun that you can buy in a local bakery store. Other than that, it was a great snack! Stagy also offers Family Feast which are bundled meals. So you can bring your family or friends. We had a quick bite and had a short talk. Nonetheless, we cherish this time together and we are grateful. Address 195 M Concepcion st. Brgy. Buting Pasig.